Skin reactions are a common problem for those with sensitive skin. If you work with chemicals, this makes you more likely to suffer from skin irritation. 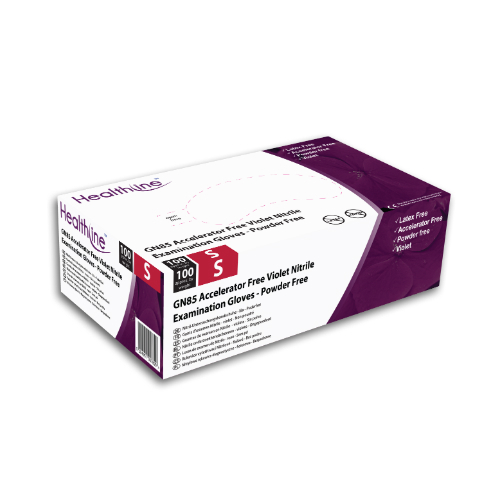 The Healthline GN85 Violet Nitrile Examination Gloves (Pack of 100) are accelerator free to remove the risk of contact dermatitis caused by these chemicals. This tests the gloves to ensure they protect you against liquid penetration and micro-organisms. These particular GN85 Nitrile Examination Gloves received an AQL rating of 1.5, meaning that they obtained a performance level one in this area. The GN85 Examination Gloves are designated Category III gloves, so they should be suitable for most high-risk tasks. 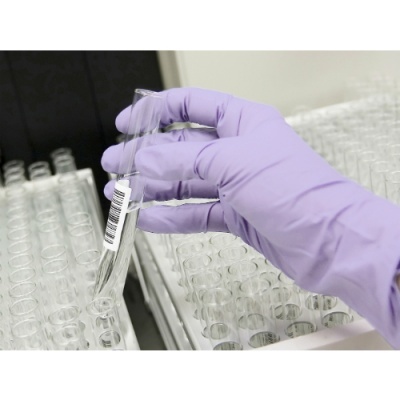 The gloves are highly resistant, making them ideal for use in the medical and security industries. The Healthline GN85 Examination Gloves are available in four sizes. Please measure your hand across the widest part of your palm and refer to the sizing table below to find out which size will fit you best.